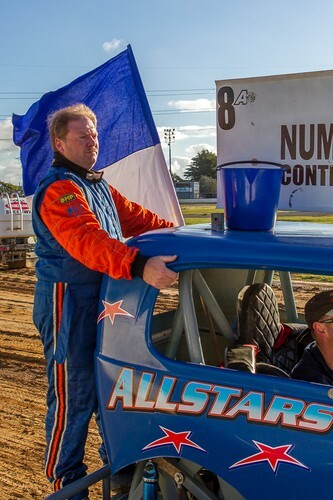 The fastest dirt track super modified drivers including the New Zealand champion. Can Foxy beat them all on his home track? Thirty laps of wheel-rubbing action! 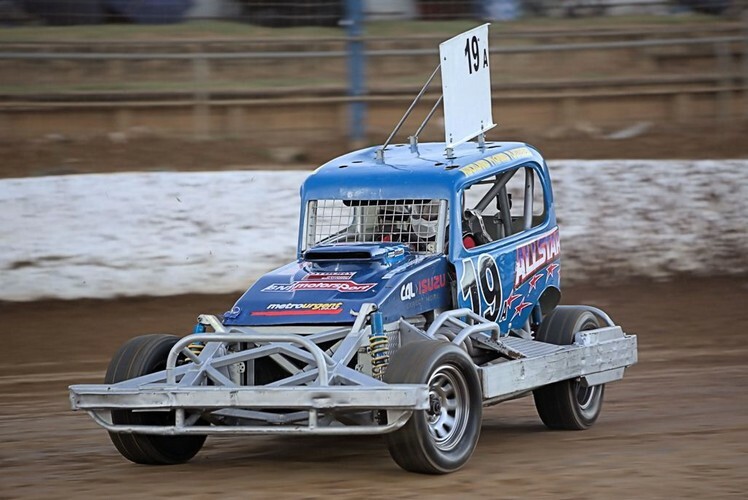 Plus you will thrill to the bash and crash of the Stockcars and thundering SuperStocks and the door handle to door handle racing of the country's fastest saloons - Mustangs, Corvettes, Camaros, Commodores and Falcon V8's. You will laugh at the antics of the StreetStock drivers as they push and shove each other on the way to the elusive chequered flag. 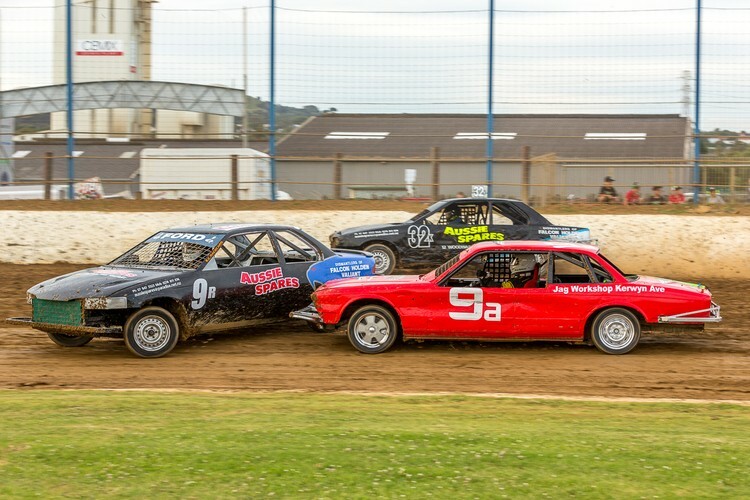 Falcons, Holdens, Jaguars, Rovers, Mercedes - all your favorite family sedans attacking each other. 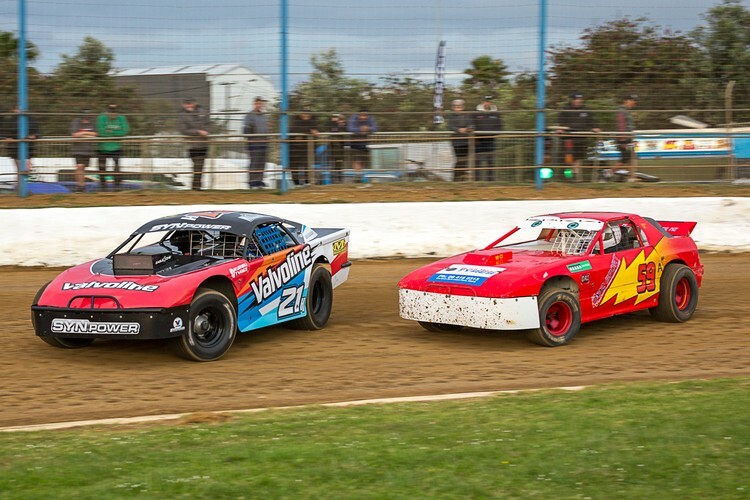 The SuperStock Teams race will be a thrill from the drop of the green flag when the Auckland All Stars go into battle against the formidable Waikato Wanderers. 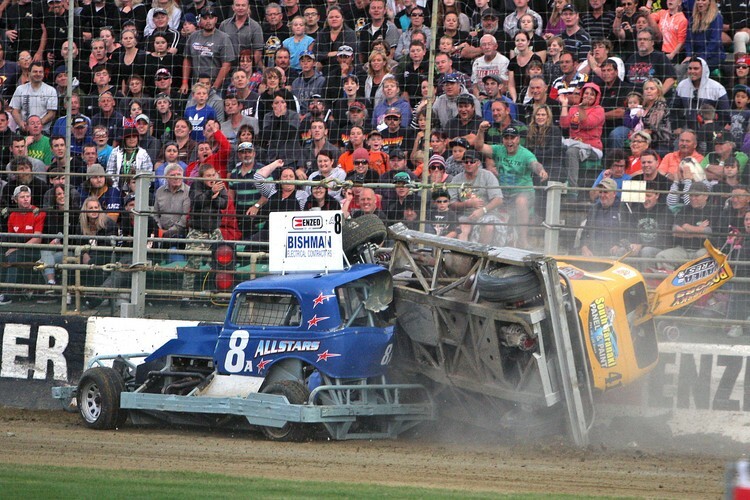 Don't miss this thrilling spectacle as they try to stop the other team from winning by rolling them or smashing their wheels off! Ten laps of brutal mayhem! 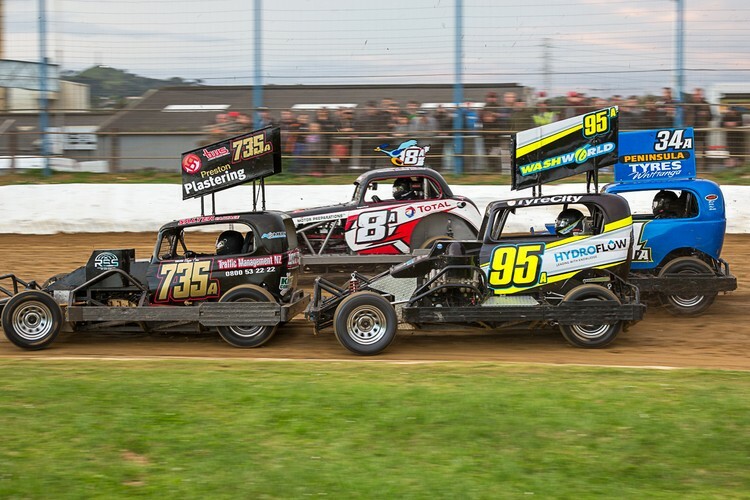 Get a group together and head to Waikaraka Speedway, Onehunga for a night of non stop excitement!